Although Dungeons & Dragons is decades old, more than 8 million Americans still play it each year. Whether you’re a new fan or longtime player, there are plenty of reasons why this game has withstood the test of time. Can’t get enough of Dungeons & Dragons? Keep reading to learn about 5 D&D alternatives that are just as addicting as the original game. 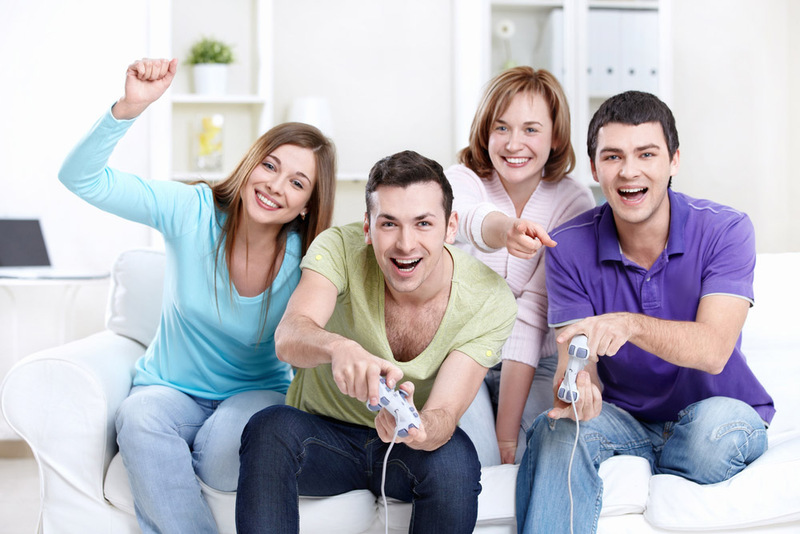 Want to Know the Latest Gaming Trends? If you’re interested in games like D&D, who could be better to turn to than the designers themselves? 13th Age is a treat because it was created by the minds behind the third and fourth editions of Dungeons & Dragons. A lot of the technical parts of the game feel familiar, which means you can adapt to the rules fast. A major difference in this game is that the narratives feel more current. Dungeon World is an action-packed game that will get you hooked in no time. Although the techniques aren’t as similar as 13th Age, you’ll be able to get the hang of it. You may even find that you enjoy the rules of this universe more than D&D. There are plenty of reasons why Dungeon World has soared in popularity recently. Play for yourself to see why it’s one of the best alternatives to D&D. If you want Dungeons and Dragons style games with a futuristic twist, Demon: The Descent is perfect for you. In this game, you play as a fallen angel who has to survive in the human realm controlled by the God-Machine. With so many mysteries and identities, your strategies will be put the test. If you love a good challenge, this game will keep you on the edge of your seat. Eclipse Phase: Transhumanity’s Fate is one of the most thrilling D&D style games. You can play as a variety of different futuristic characters. What does everyone have in common? You’re all brilliant minds carried within machine bodies. Can you survive against alien viruses, evil gods, bizarre creatures, and the pitfalls of humanity itself? A universe is a big place. Everything it contains threatens to collapse everything you think you know. Pathfinder was created by the company Paizo, which got involved with publishing Dungeons & Dragons magazines in 2002. Pathfinder feels like D&D because it was intended to revise the 3.5 version of the game. There are lots of improvements in Pathfinder. Some differences in the game include different levels of combat damage and spells. The game is so popular that it was able to outsell D&D from 2011-2014. If you’re just getting started with D&D, you can become a master fast with a few strategies. You can read more here to learn how. These tips can also help you prepare for these 5 other games like Dungeons and Dragons. These 5 D&D alternatives are sure to keep you busy. If you want an endless supply of awesome games, Internet Vibes can help you stay up to date on the hottest trends. Check out our blog to discover other games you should be playing.